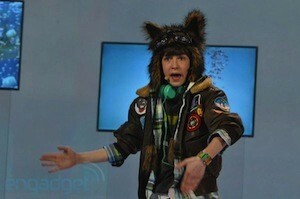 Maybe, just maybe, you've noticed that Engadget relocated this past week to the City of Sin for CES 2011. Oh yes, we set up camp in a double-wide trailer, liveblogged our hearts out, combed the show floor, and worked our rear ends off to bring you more gadget news than you ever thought possible. It's true, we've written over 720 posts (40 or so about tablets alone! ), shot more than 180 videos, and brought you over 350 photo galleries in the last seven days. That's a ton of technology news and products, but naturally, only certain ones have been able to rise above the rest and stick out in our scary collective hive-mind. With that said, we've complied our annual best of list for you, so hit the break and feast your eyes on what are bound to be some of the best products of the new year. Does the Motorola Atrix 4G even need an introduction at this point? Not only was the Tegra 2-powered handset the best phone at the show, it's hands-down one of craziest products we've seen in quite a while. The handset itself is glorious with its 4-inch QHD display, front-facing cam, and fingerprint reader, but its 11.6-inch Laptop Dock and its Webtop operating system turn it into one unique beast. You do not want to miss our video demos of this one. 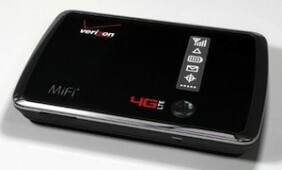 Verizon LTE? Check. Front facing VGA camera for Skype video calling? Check. Packing the same 1GHz dual-core Tegra 2 internals as the Atrix? Yeah, Moto's 4.3-inch Droid Bionic is one insane phone. Vizio kicked off the show in a big way with the Android-based Vizio Phone and Vizio Tablet -- not only is the company's skin incredibly well-done, but both devices feature IR transmitters that turn them into universal remotes and integration with Vizio's VIA Plus system for seamless content playback from phone to tablet to TV. Moto's pretty much cleaning up house. 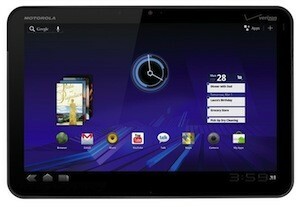 Amongst the 40 something tablets at CES, the Xoom was the one to really capture our hearts. Besides its 1280 x 800-resolution 10.1-inch display, 1GHz Tegra 2 processor, and 5 megapixel camera, the Xoom was the only tablet at the show to actually show off Google's Honeycomb (aka Android 3.0). We like what we see, even if the 4G version won't arrive until Q2. 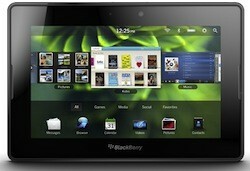 RIM has been teasing the PlayBook for months, but it wasn't until CES 2011 that we finally got to play with it. 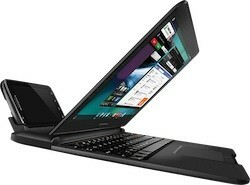 Headed to Sprint this summer, we dig the 7-inch display and QNX OS, we're just not sure about that whole bridge thing. After a year of delays and suspicions, we finally got to see a working Notion Ink Adam. Packed with a 10.1-inch Pixel Qi display, Tegra 2 processor, and its own Eden UI, this hardware start-up can actually compete with the big boys... that is if it can work out its supply and order issues. Whoa, Razer! 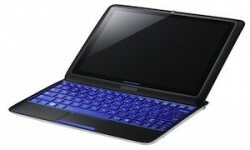 The Switchblade was one of the biggest surprises of the show, and it's one insane-looking tablet / netbook hybrid. 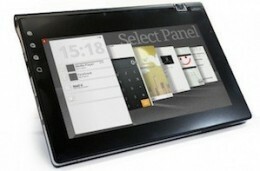 The Windows 7 device has a 7-inch touchscreen along with a keyboard that has "magical" LCD keys. Say what? Yep, those keys change depending on what you're doing. You should read our in-depth preview and then join the rest of us in praying that this thing hits the market sometime this year. 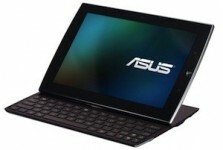 We saw lots of Windows 7 tablets at CES, but there's no doubt that the best ones are paired with a physical keyboards. 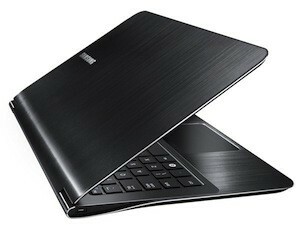 Samsung's Atom Oak Trail-powered tablet has a slide-out keyboard that converts the 10.1-inch slate into a netbook. 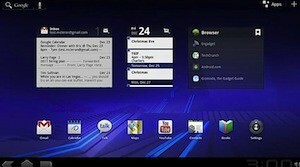 The units we saw weren't final, but the entire package, including Samsung's Touch Launcher, looks promising. ASUS made it clear it has a thing for physical keyboards this week, which is totally cool with us. 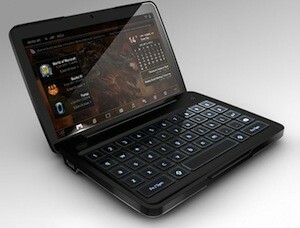 The Slider will eventually run Android 3.0 on its 10.1-inch IPS display, and has a slide out QWERTY keyboard. 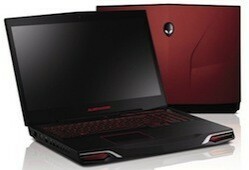 It's powered by a Tegra 2 processor and has two cams. 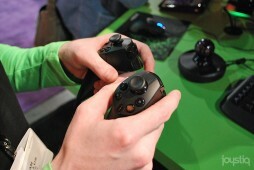 It looks real good, we just hope the final unit's slider mechanism feels more stable. Finally? 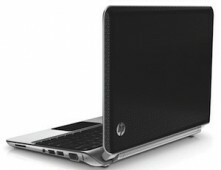 A PC that can rival the MacBook Air? We think so. Samsung's 9 Series 13.3-inch laptop isn't only 2.89-pounds and .68-inches thin -- it's got a Sandybridge Intel Core i5 processor, 128GB SSD, and a bright 300nit display. It's one beautiful system, now let's just hope the final unit can last longer than five hours on a charge. AMD is back in the game! That's right, HP's new Pavilion dm1 packs AMD's new Fusion APU and the 11.6-inch ultraportable (or notbook) is said to pack lots of graphics power and six hours of battery life. For $499, it's slightly pricier than a netbook, but this one could be your primary system. The M17x is still one monster of a system, and this time around it's been updated with Intel's new quad-core Core i7 processors, ATI Radeon / NVIDIA graphics, 3D capabilities, and extremely unique wireless display technology. While you can get the 17.3-incher with WiDi 2.0, you can also get it with a built-in SiBEAM WirelessHD transmitter that can stream full 1080p content with zero lag. 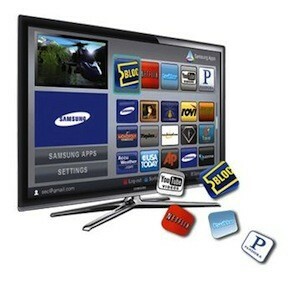 In a CES where every TV manufacturer was touting its connected TV platform, Samsung's refreshed Smart TV sticks out as the most well-rounded. Its ability to bypass or extend the reach of cable and satellite boxes, stream video from other DLNA devices, pull info from the web via a web browser or the Apps Store, makes it one very compelling package. Sure, our touchscreen remote demo did not inspire a lot of confidence and we're seriously concerned about interface usability, but the software and capabilities are all there in a slim bezeled design. Vizio again filled up its off-the-show-floor exhibition with treats. The high end of the line will be a part of a full on Android assault this year, and the TVs -- complete with their own UI and baked in support for OnLive and Vizio On Demand movie service -- are the most interesting. Sure, we're not sure that passive 3D screens can really stand up to the competition, but at least we're expecting semi-affordable prices. The ultrawidescreen display from Philips wasn't the first or only screen of its type we spotted during CES, but considering how long we've been drooling over its overseas cousin its presence was the most welcome. We can worry about little details like "who actually needs a 21:9 aspect ratio screen" or "what happens when you're watching 16:9 content" later, right now we're just pressing the want button. Hard. Sony boarded the 3D train with lots of baggage this past week, but the Sony Bloggie 3D -- the world's first affordable 3D cam -- may be its most important satchel. The $250 cam packs two lenses and two images sensors to capture the world in, you know, three dee and full HD (1920 x 1080-resolution). And yes, you shoot through a 2.4-inch 3D glasses-free LCD. Olympus's XZ-1 is pretty much the inbetween-y camera we've been waiting for. The 10 megapixel shooter isn't a Micro Four Thirds, but it's not quite a point-and-shoot with tis 4x optical zoom, RAW support, manual controls (including focus), and $500 price. Still, with a 3-inch OLED screen and 720p 30fps HD video capture this thing will undoubtedly be on our wish list come later this month when it hits stores. There are lots of firsts with this one. 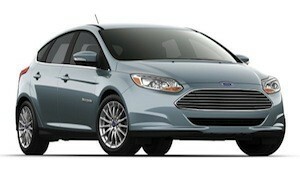 The Focus Electric is the first car to be unveiled by a major auto manufacturer at CES and Ford's first electric car. With a big cell in its trunk, the Electric will manage a range of 100 miles and offers a MPGe higher than the Chevy Volt. It should only take four hours to charge via a 240 volt outlet, but sadly, you're going to be waiting a lot longer than that until it is released -- Ford is saying is should hit the US in late 2011 and 2013 in Europe. One of our biggest highlights of this year's show was getting inside GM's electric EN-V. Sure, it looks crazy, but the way it moves is even more zany -- the body slides forward or backwards to balance. Oh, and did we mention the cars can communicate with each other? Seriously, check this thing out. 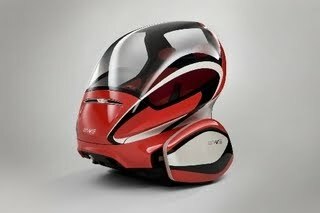 Indeed, the future of transportation consists of some weird looking, uh things. 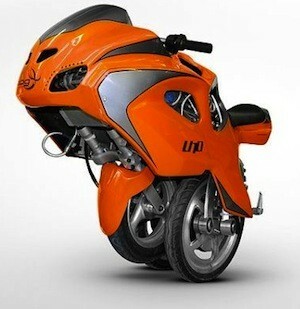 The three-wheeled Uno is like a Segway and motorcycle baked into one. You can drive it with its two rear wheels or you can lower it to the ground, eject its front wheel and transform it into a 35mph tricycle. Now if only it could go faster! 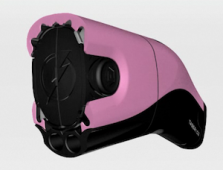 How often does a badass Microsoft Research gadget go straight into production? Not often enough, but come June, $80 will buy your Windows PC's new best friend. 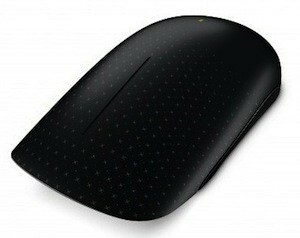 Apple fanboys will probably just see a Magic Mouse with a hump, but these multitouch gestures put that surface to shame -- two fingers snap windows into place, three fingers quickly switch tasks, and your thumb can move forwards and backwards through websites, photos and documents. Razer's motion-sensing Sixense sticks actually debuted at CES 2010, but in the intervening months they've gone from would-be Wii remotes to insane game-destroying machines. No camera or IR here, just an electromagnetic orb that calculates exactly where the sticks are relative to the sphere and translates the data into 1:1 control in three dimensions. You won't have to hunt for quality software that uses its full potential -- it'll be the preferred controller for Portal 2, and it's not hard to see why. 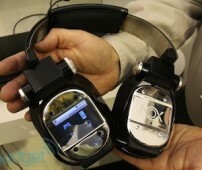 This is a noise-canceling, wireless, 7.1 virtual surround sound headset with an Android 2.1 computer inside. It connects to your game system, your audio components, and your phone. 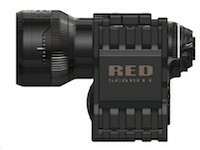 Its controls and rechargable, user-replaceable battery pack are cleverly built right into the frame. What more do we need to say? Okay, so Google didn't unveil Android 3.0 or Honeycomb at CES, but it may as well have. The forthcoming Google tablet OS stole the show as nearly every tablet manufacturer promised to its slates preloaded with the future OS. We also got a first look at the interface thanks to Motorola and T-Mobile's videos. On top of all that, we sat down to talk to Google's Matias Duarte on what's coming. It is safe to say, Honeycomb is going to shake up the tablet market this year. So much LTE. Motorola, Acer, HTC, Samsung, and LG all showed up in Vegas with LTE devices, making it crystal clear that Verizon's 4G network is going to be a key ingredient in loads of upcoming handsets and tablets. Sure, there were lots of other carriers with 4G devices, but can any of them claim to let four players jam over Rock Band Mobile? Naturally 3D was another major theme of this year's CES, but we're more impressed at the moment with the glasses-free 3D technology that's on the horizon. 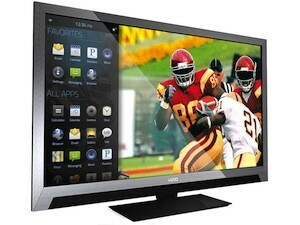 StreamTV showed off its 42-inch 3T, which will be heading to market this year. 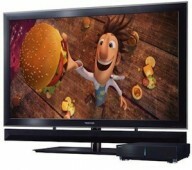 Toshiba also showed off a really compelling 52-inch set. 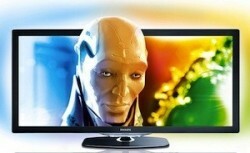 Now we just have to hope that we'll be able to buy one of these before it's time for CES 2012. It's hard to be the best of the crap, but ioPrego has managed to pull it off. No it's not LG's Migo or a Tamogotchi... it's a g-baby and it's a real phone with no dial pad. Pink tasers with a smiling family on the box? Classy. Real classy. Press conferences aren't really gadgets, but we felt it was only right to call out the best pressers of CES 2011... and when we say "best" for Samsung, we really mean "most confusing." There's only one word for its keynote: Zoll. This pre-tween layabout in an animal cap danced around stage saying nonsensical things while Samsung president BK Yoon sternly warned us that "human life must be our priority" and trotted out a collection of high-powered CEOs to announce everything from Adobe and Samsung's SmartTV partnership with Comcast and Time Warner integration to Hulu coming to Galaxy S phones. Everyone also got a free box of caramel corn and front-row seats to interpretive ballet. This was one presser we'll never ever forget... ever. 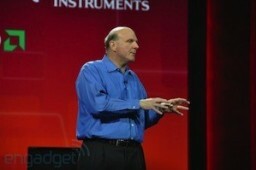 Microsoft didn't exactly break any news at its press conference, but that doesn't mean the kickoff keynote wasn't filled with Ballmer-isms, a lady strung out on too much WP7, and lots of sales numbers. Sony, as always, you sure know how to put on a show. We can't decide if we were more interested in the Cirque de Soleil's Elvis tribute, Seth Rogen reading cornball lines about Sony's greatness from outside the bullethole-laden Green Hornet car, or the intro of the Xperia Arc and consumer 3D cameras. Thanks for not making us choose, Sir Howard. You charmer, you.